Time to find something to smile about around these parts! NOT been the best of weeks, but i am hoping it all turns the corner and heads to the sunny side of life. Meanwhile, we have had major events with Tink and Bear! Tink had her braces taken off yesterday! Se immediately chewed 3-4 pieces of gum, and she had popcorn has her snack last night! Not to be outdone, Miss Bear lost BOTH her top front teeth over the weekend. She now has some extra money in her piggy bank! Eating sweet corn this summer may be a bit of a challenge for her! Then we are finally getting into our swim lessons after just one last week, thanks to weather and weather-related pool issues. Waiting for our dynamic landscaping due to arrive so we can start on day two. I'm happy to say that after buying about 12 cubic yards of mulch yesterday and putting it all around, most of it stayed where we placed it despite some very powerful winds last night. I'm working on that post AND trying to get started on my Gooseberry Patch recipes. Praying that life settles down here a bit and hits a calm stretch! I have one who can't wait to get her braces off! They look great! 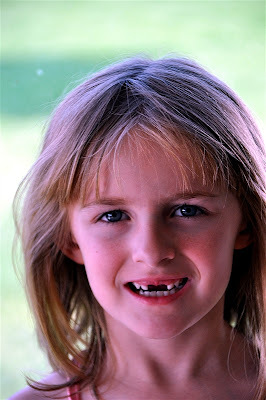 I love when the kids lose both front teeth, it's so cute and doesn't last very long...sweet moment in time. Hope things calm down for you, I'm feeling the same way! Nice teeth, so cute. 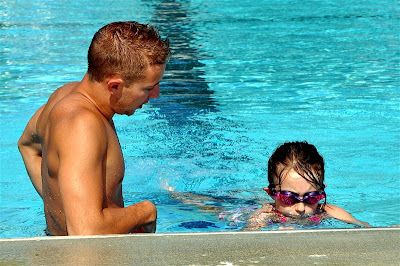 Aren't swim lessons fun? 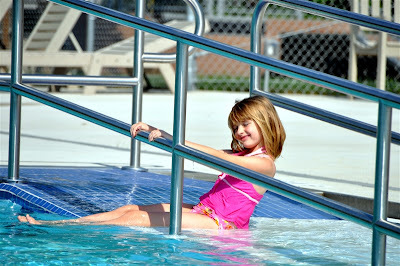 We've had a great time at the pool so far this summer. Hope your girls have fun swimming too! oh my gosh, those missing front teeth! how are you feeling these days, are you taking it easy still? 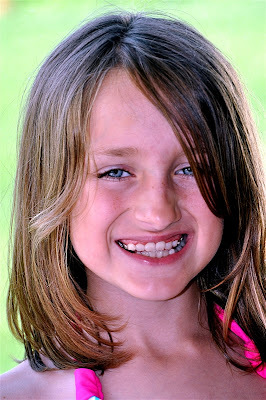 Love the braces coming off and the loss of front teeth all coinciding! And, yes, sweet corn will be a challenge. The girls look GREAT without teeth and without braces!!! Hope the coming weeks will be more cheerfull and without RAIN! Tell her I am SO, SO, SO JEALOUS of having her braces off! I hope you all have a great summer! I do feel sorry for Bear when it comes to sweet corn. Oh well, she'll be even better prepared for next summer's crop! What cute kids. WOW that's quite an accomplishment to get the braces off and then to you have your other daughter lose both front teeth. 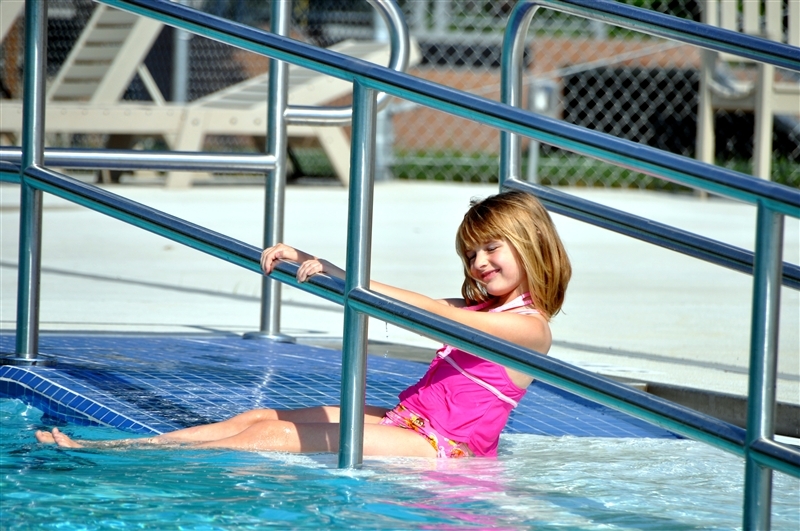 We are anxiously awaiting our pool to be open again in town because of renovations. We'll have lessons begin in a few weeks. Miss E ,age 3, can hardly wait to be a "tadpole". Thanks for linking up for WW!